Meet Peck, a chubby desert quail who just wants to have his friends over for a morning meal. 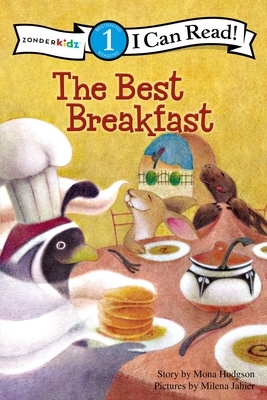 Breakfast for Everyone is the latest entry in the popular I Can Read(TM) line of books for young readers. Intended for level-two readers, Breakfast for Everyone is educational, entertaining, and it has a lovely message about accepting each other's differences--differences that are God's plan for us. Peck has made seed pancakes and invited all his friends over for breakfast. But each guest shows up with something different--from grass salad to lizard soup--and Peck's disappointed that no one's sharing his pancakes. Then he remembers that God made us all different on purpose, and that friendship is the very best thing to share.